In 2015, the government commissioned Sir Alan Wood to review the role and functions of Local Safeguarding Children Boards (LSCBs). The Wood Report was published in March 2016, with the government formally responding in May 2016. The Wood Report recommendations were subsequently embedded in statute in April 2017 with the granting of Royal Assent to the Children and Social Work Act 2017. As a consequence, four important areas of change have followed. Firstly, LSCBs, set up by local authorities, will be replaced. Three safeguarding partners (local authorities, clinical commissioning groups and chief officers of police in a local area) must now make new safeguarding arrangements to work together with relevant agencies (as they consider appropriate) to safeguard and protect the welfare of children in the area. Secondly, the current system of Serious Case Reviews will be replaced. Safeguarding partners must now make arrangements to identify and review serious child safeguarding cases which, in their view, raise issues of importance in relation to their area. They must commission and oversee the review of those cases, where they consider it appropriate for a review to be undertaken. Thirdly, a National Child Safeguarding Practice Review Panel has been created and operational since June 2018. 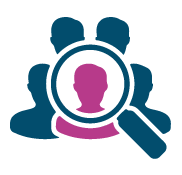 The panel is responsible for identifying and overseeing the review of serious child safeguarding cases which, in its view, raise issues that are complex or of national importance. Fourthly, local authorities and clinical commissioning groups have been specified as ‘child death review partners’ and must set up new child death review arrangements. These new arrangements should facilitate a wider geographic footprint and respond to the statutory guidance defining how deaths will be reviewed and how the bereaved will be supported. Safeguarding partners must publish their new arrangements by 29 June 2019, but may do so at any time before the end of that period. New local arrangements must have been implemented by 29 September 2019. Pending the implementation of new safeguarding partner arrangements, the CHSCB continues to carry out all of its existing statutory functions in respect of both Serious Case Reviews and Child Death Reviews. This includes statutory guidance set out in Working Together: transitional guidance 2018, Working Together 2018, Working Together 2015 and communication from the Chair of the National Child Safeguarding Practice Review Panel. Responsible for monitoring the effectiveness and quality of safeguarding arrangements through the CHSCB Learning & Improvement Framework. Responsible for the development, delivery and evaluation of the CHSCB multi-agency training programme. Responsible for overseeing the statutory process for Serious Case Reviews and other learning reviews involving the safeguarding of children and young people. Monitors the implementation of related action plans, ensuring learning is embedded across all organisations and their staff. Reviews the deaths of children and young people across the City and Hackney, making recommendations about any identified preventative measures and publishing an annual report of its work.